Posted: Monday, May 16, 2016. 1:30 pm CST. 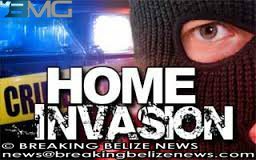 By BBN Staff: A farmer of Camalote Village in the Cayo District, 36-year-old Eddie Fuentes, reported to police that while he was at home around 3:00 a.m. on Friday, three Hispanic males entered his home by forcing open his front door. Fuentes identified one of the men as Julio Acevedo, a farmer of Agua Viva community, who chopped Fuentes to the left thigh before fleeing from the house. A doctor certified the injury as wounding and police are looking for Acevedo.